For the 2019 ski season, we have planned 15 ski flight trips to premiere resort destinations in the U.S., Canada, and Europe. We even have an August ski trip to Chile! Our trips are complete packages, including air, lodging, transfers to/from the airport and resort, lift tickets, and an experienced leader. Plus, we get the best group rates for lessons, equipment rentals, and expanded trip insurance. Our Club Med trip is All Inclusive, with gourmet meals, beverages (open bar), lifts, lessons, and nightly entertainment included in the trip price. In September, SCWDC hosted our first annual Back to the Slopes Party to highlight our 2019 ski trip schedule, and provide an opportunity for interested members to meet our Trip Leaders, learn more about our trips and resort destinations, and possibly win one or more valuable door prizes. All our trips can be paid for online with a combination of a $500 deposit and the remainder paid in full, or with a three-part installment plan, which must be paid by check. Please mail payment checks (made out to SCWDC) to the Club office at 5309 Lee Highway, Arlington, VA 22207, NOT to the Trip Leader. IMPORTANT NOTICE: Ski trips are open to current SCWDC members, and also to members of other ski clubs affiliated with the Blue Ridge Ski Council (BRSC). All others must join the Club before registering for a ski trip. Current members must ensure that their term of membership extends to the completion date of the ski trip. You can join the Club online by clicking HERE, or on the "JOIN NOW" tab on the toolbar at the top of the page. Vail, CO Feb 02 Feb 09 0 Successully Completed! Schweitzer, ID Feb 09 Feb 16 0 Successully Completed! Panorama, BC Feb 17 Feb 24 0 Successully Completed! Mont Tremblant,Canada, Feb 24 Mar 01 0 Successully Completed! Park City, UT Mar 02 Mar 09 0 Successully Completed! Val di Fassa, Italy (BRSC Eurofest) Mar 08 Mar 16 0 Successully Completed! Aspen, CO Mar 16 Mar 23 0 Successully Completed! Valle Nevado, Chile Aug 22 Sep 02 0 MtnCol Live the Endless Winter! Investigating Expansion. Ski Trip Status as of: Legend (Openings) Trip sold out? Get on the wait list! OR check out trips with openings! Contact trip leader, make a deposit, get on the wait list! Cancellations happen! TRIP IS FULL - SIGN UP FOR WAITLIST!! Valle Nevado is one of the best ski resorts in Chile. It has very well developed skiing infrastructure and is the grandest of the Chilean ski resorts. 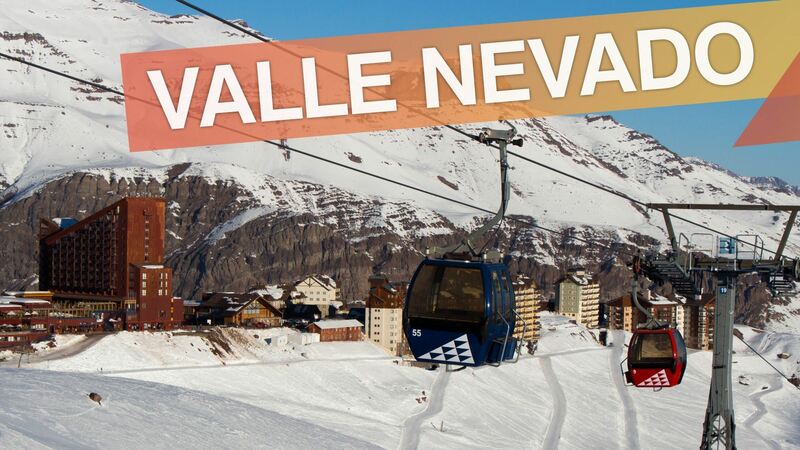 Valle Nevado (pronounced loosely translates to “snowy valley”. It’s definitely snowy with an average of 22' of snowfall annually. The top of the resort is at 12,000' above sea level, but it sits amidst peaks that are over 20,000' high, so it's easy to say that the ski resort is in a “valley”. The area is reasonably large with 2,225 acres of terrain and a vertical drop of 2,657'. The resort is also interlinked via the slopes with the ski resorts of La Parva and El Colorado and Farellones.. With a multi-resort lift ticket this adds another 3,700 acres of fun. Valle Nevado has lots of cruisy wide-open groomed runs appropriate for the intermediate skier and boarder. There are also slopes for beginners, mellow pitched off-piste areas for advanced riders, and a couple of steeper bowls and chutes to challenge the experienced rider. The high elevation of the resort ensures reasonable snow conditions and there is also snow making to top up the cover. Powder days can be epic thanks to the Valle Nevado phenomenon whereby the abundant snow is often dumped (or blown) upon the resort, even if neighbouring resorts only receive a few inches. Modern fast chair lifts are pretty rare in South America, so Valle Nevado prides itself on having a detachable quad chair and a gondola. We will be staying at the fabulous Puerta del Sol hotel. This is a family hotel, located just 50 meters from the slopes. It has 121 rooms that interconnected for comfort and space for families or groups of friends. Each room has a terrace and views of the slopes, plus a direct exit to the heated pool. It includes a welcoming cocktail, which takes place every Saturday in the Lounge Bar from 6:30 PM to 7:30 PM, half board with breakfast at the Mirador del Plomo restaurant and dinner at any of the following restaurants: Don Giovanni, La Fourchette or Mirador del Plomo with reservations. On the first night, dinner is at the Mirador del Plomo; and Aprés Ski, every day at Puerta del Sol Bar, from 5:00 PM to 6:00 PM. 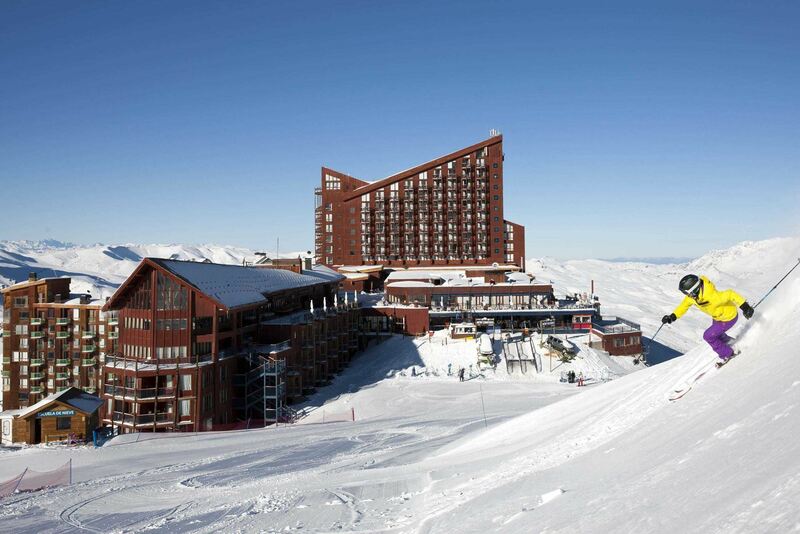 The Hotel Puerta del Sol allows unlimited access to the slopes of Valle Nevado, through an access pass to the ski lifts. It also has free wifi and ski storage, plus unlimited access to the heated outdoor pool and hotel facilities such as game rooms, pubs and group activities, and cybercafe. Through December 06, 2019 a $50 cancellation fee is assessed. After December 06, 2019, $50 plus all unrecoverable expenses if a replacement is not found. Full balance: of $2,790 is due on April 19, 2019, may be paid by credit card or check. If sign-up is after 06/18/2019, full payment is due immediately.